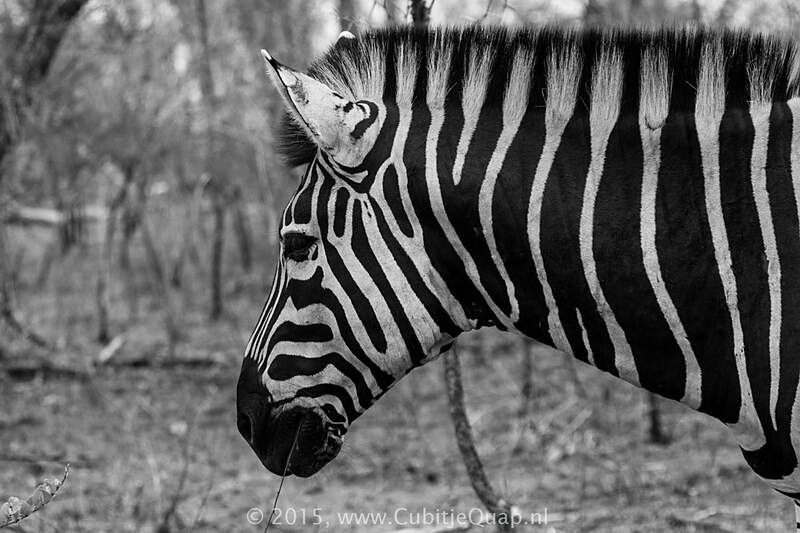 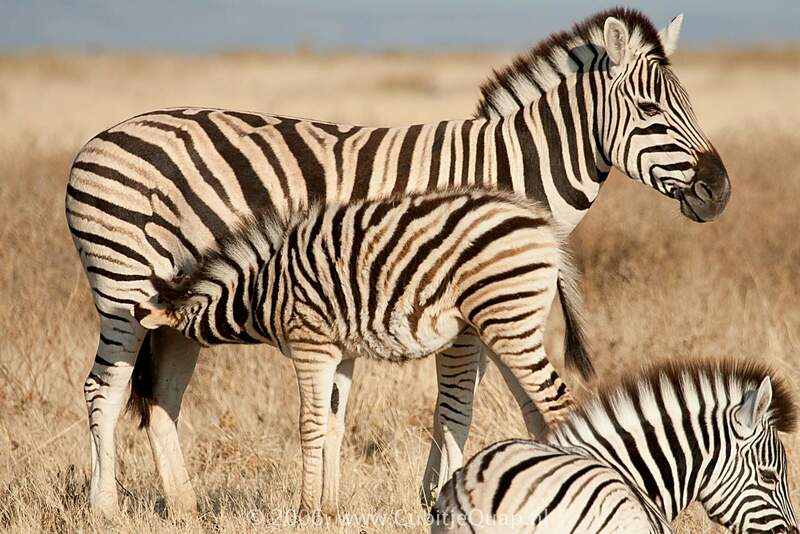 The zebra is stocky and horse-like with black and white stripes. 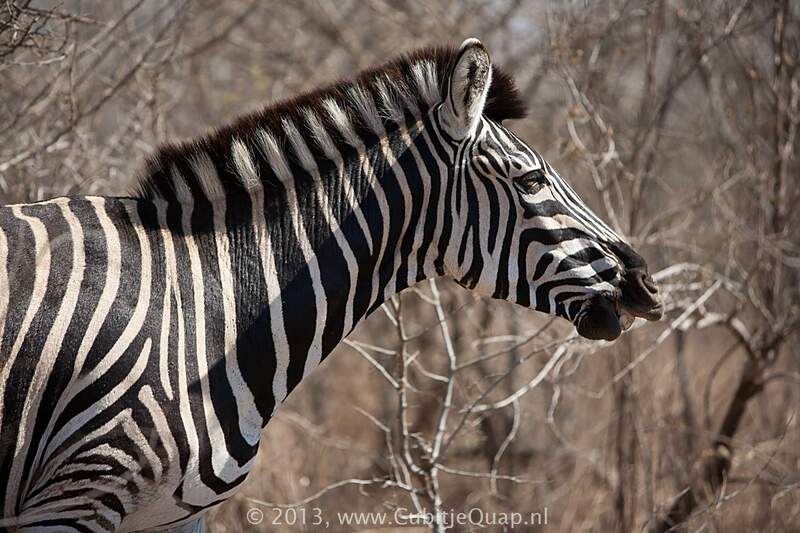 Shadow stripes are superimposed on the white stripes and the stripes extend onto the underparts. 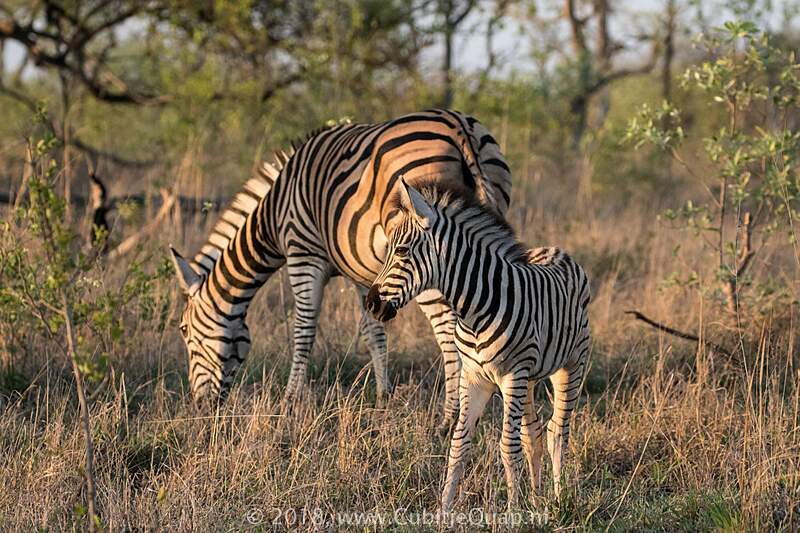 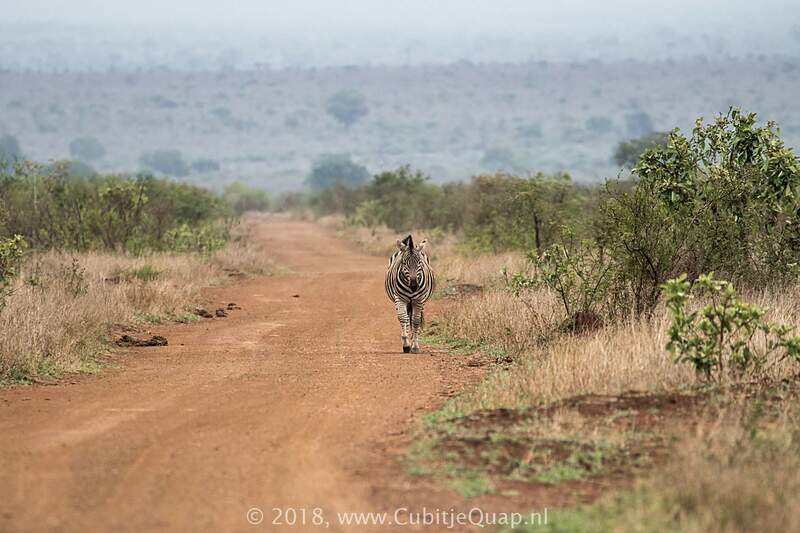 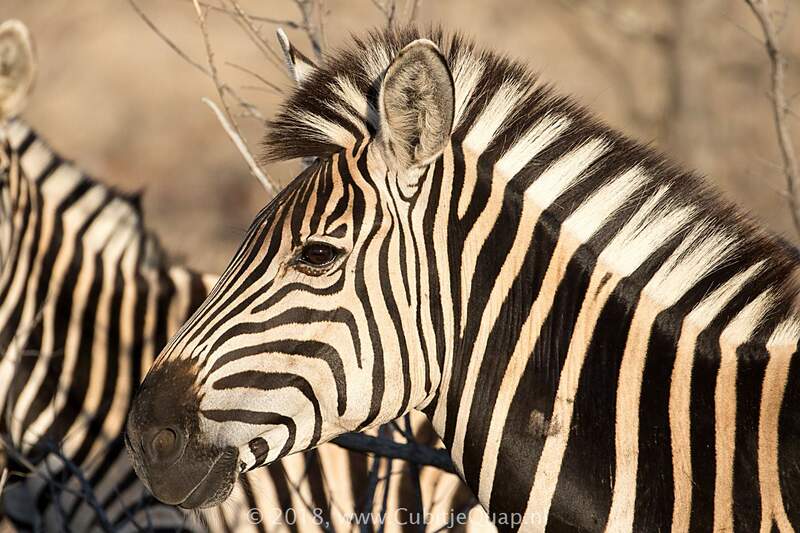 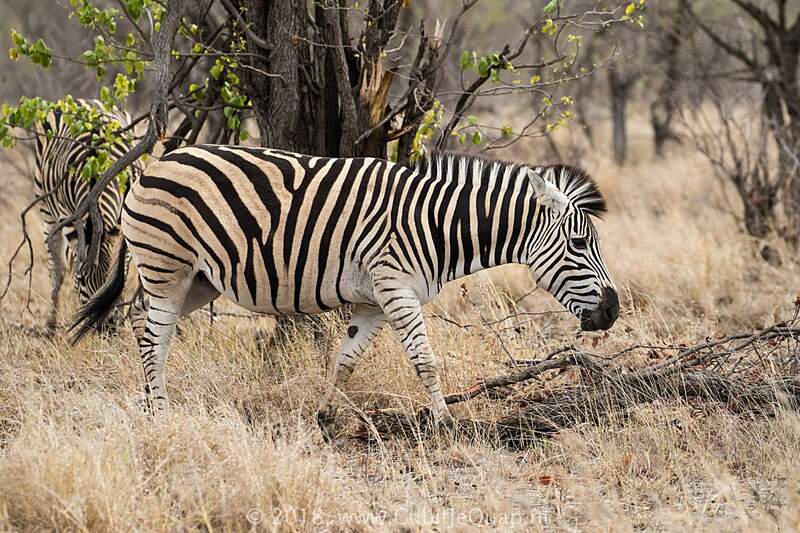 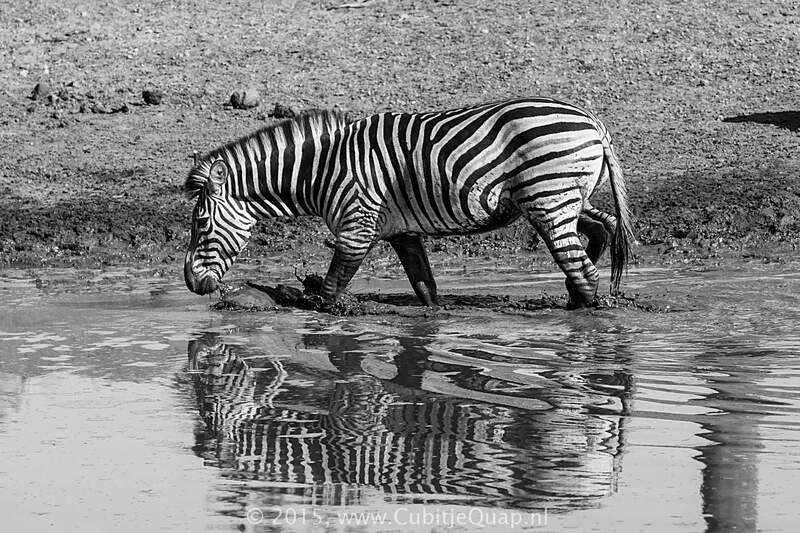 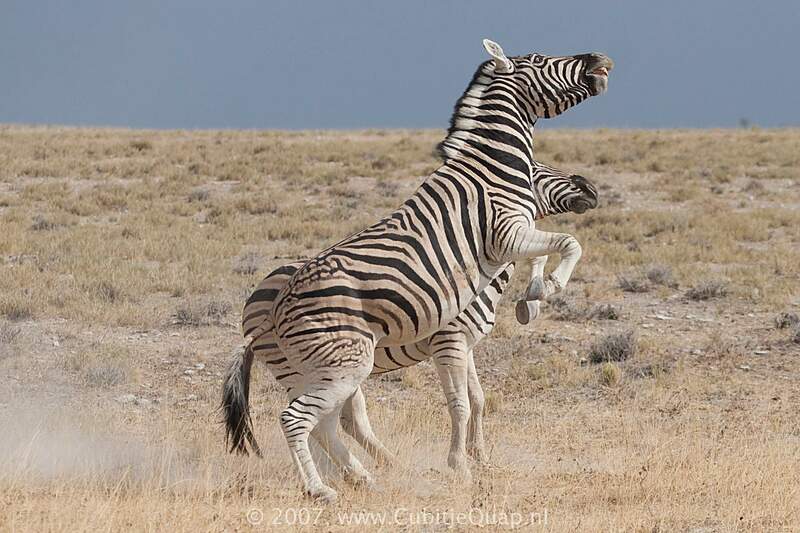 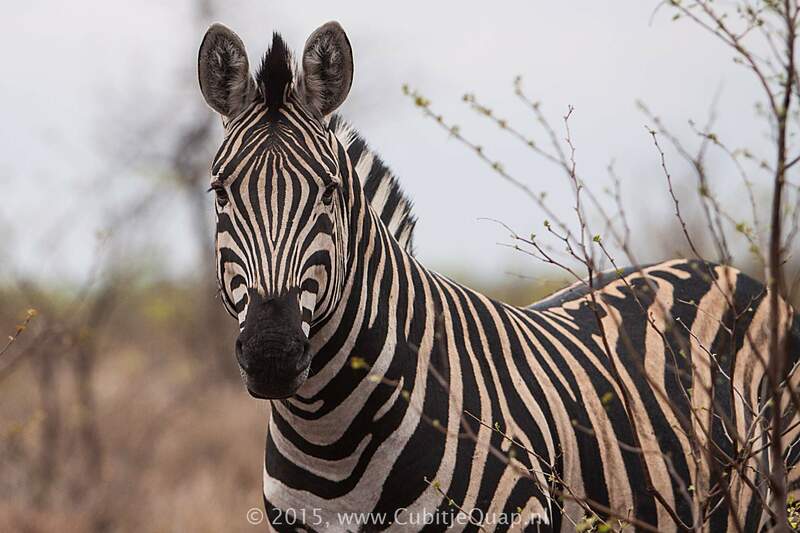 Plains zebra shows considerable variation in colouration and patterning but is usually striped in black and white with a fainter 'shadow' stripe superimposed on the white stripe, particularly on the hindquarters. 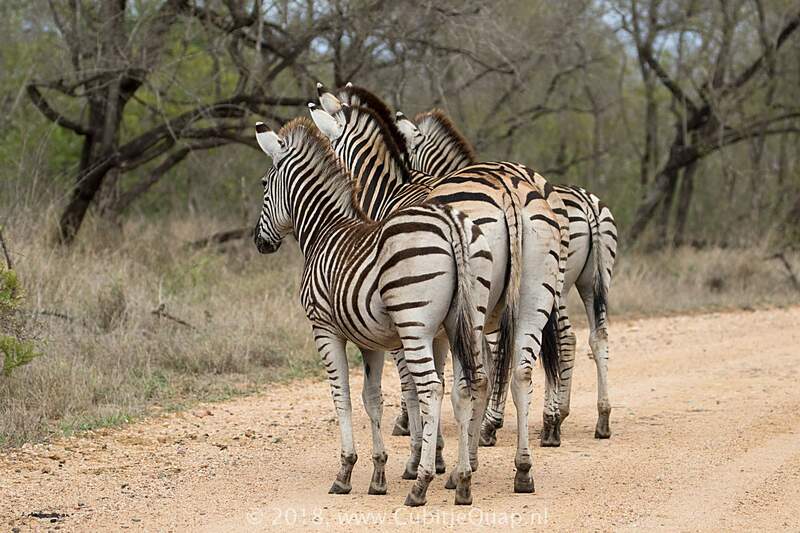 No grid-iron pattern on rump and striping extends onto underparts. 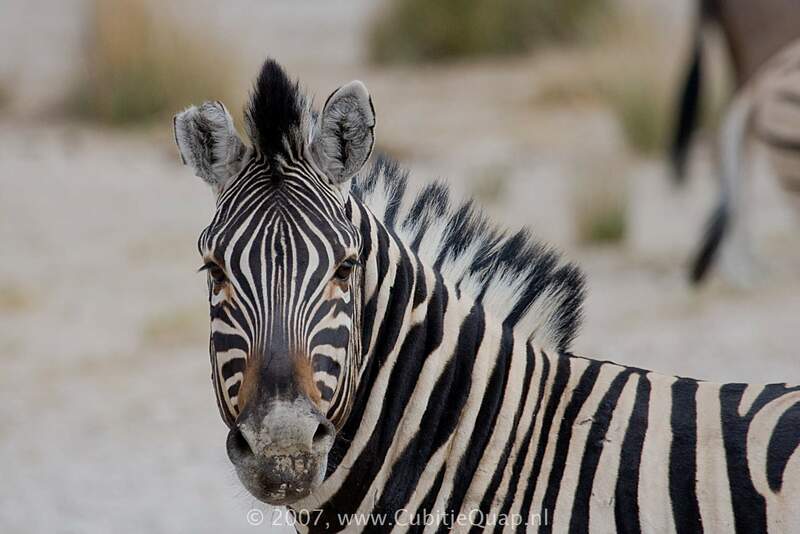 Long, erect mane extends from top of head to shoulders. 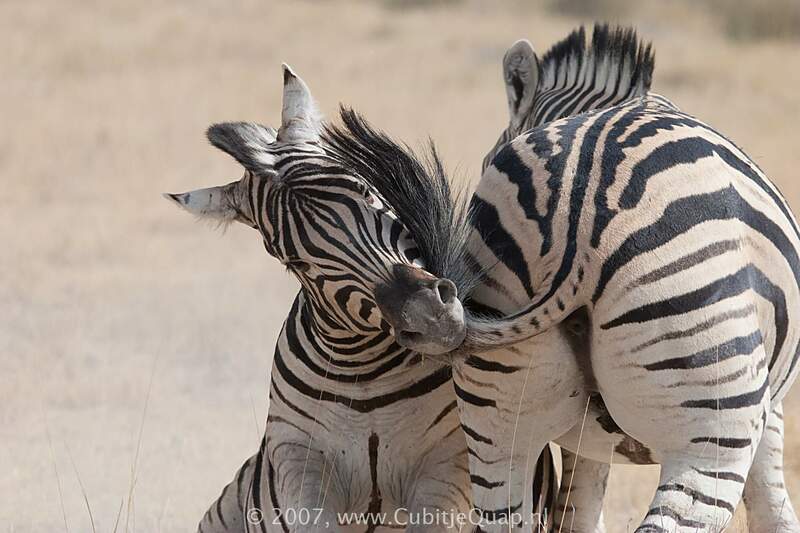 Striping may or may not extend to the hoofs. 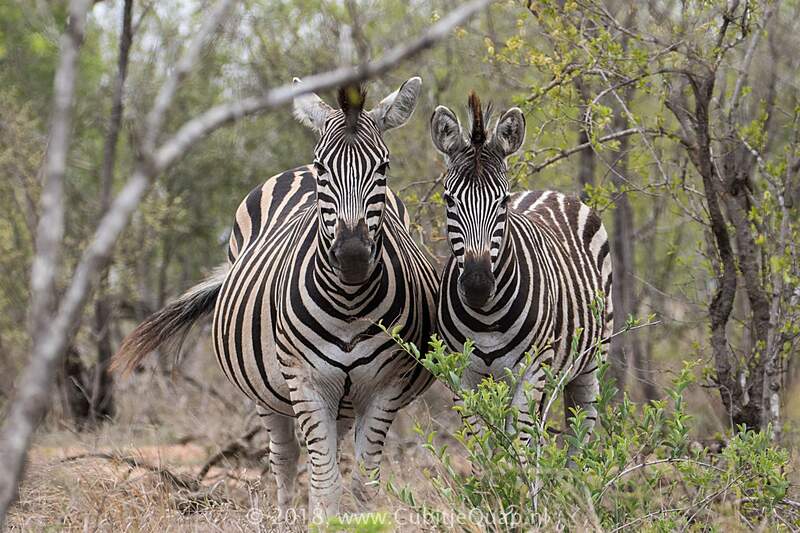 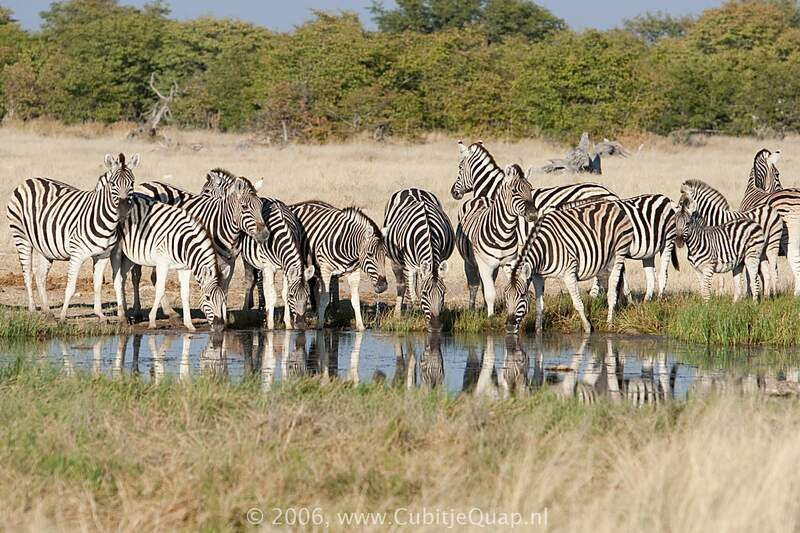 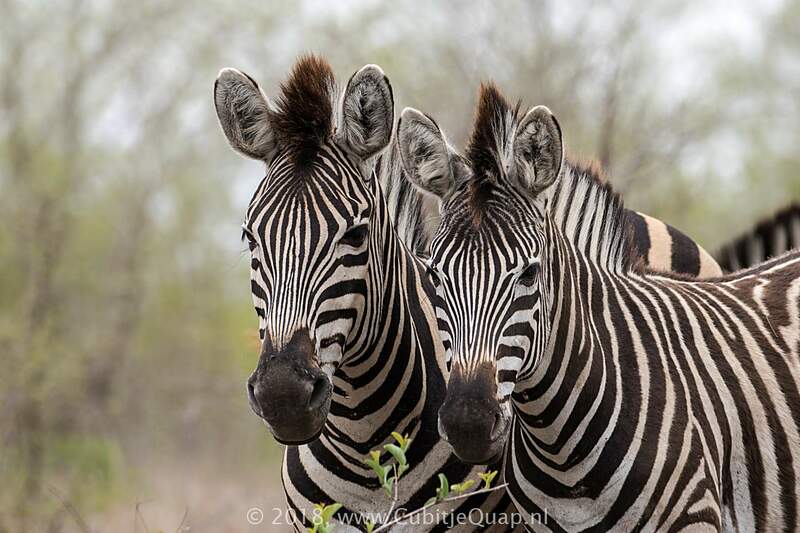 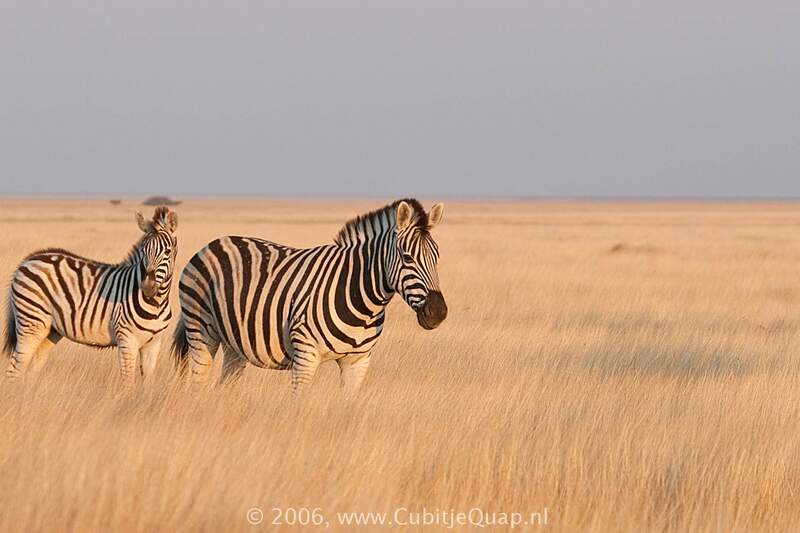 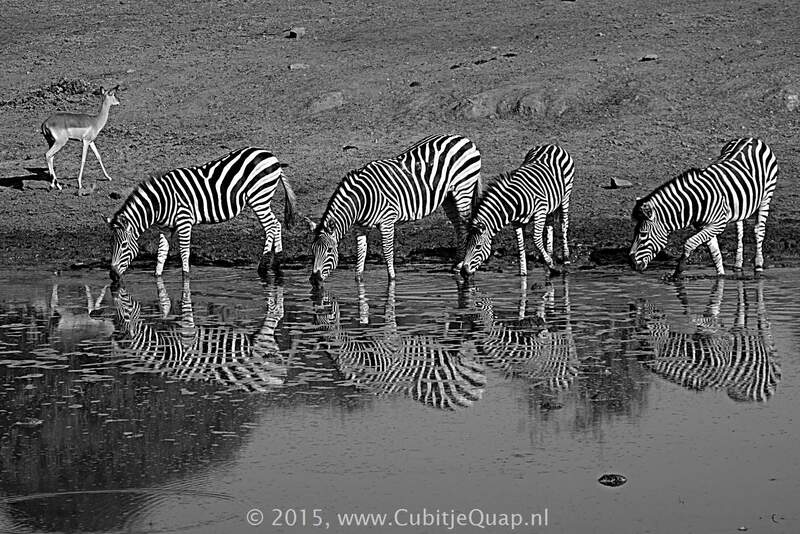 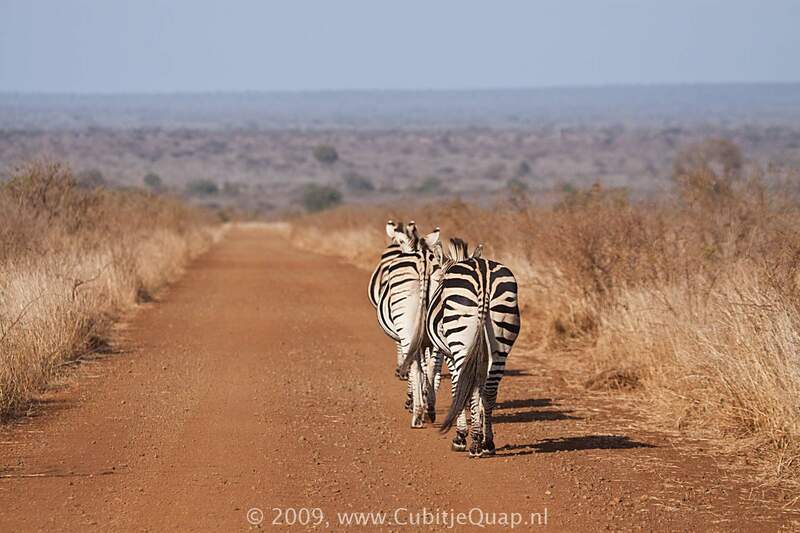 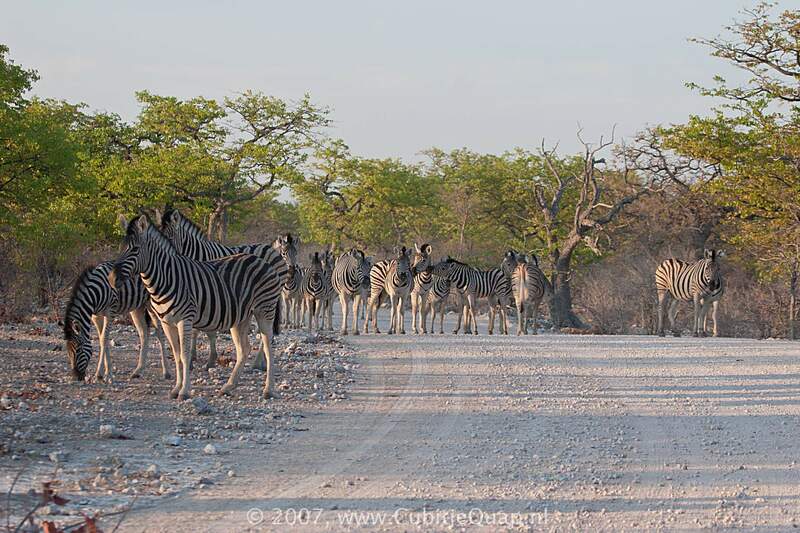 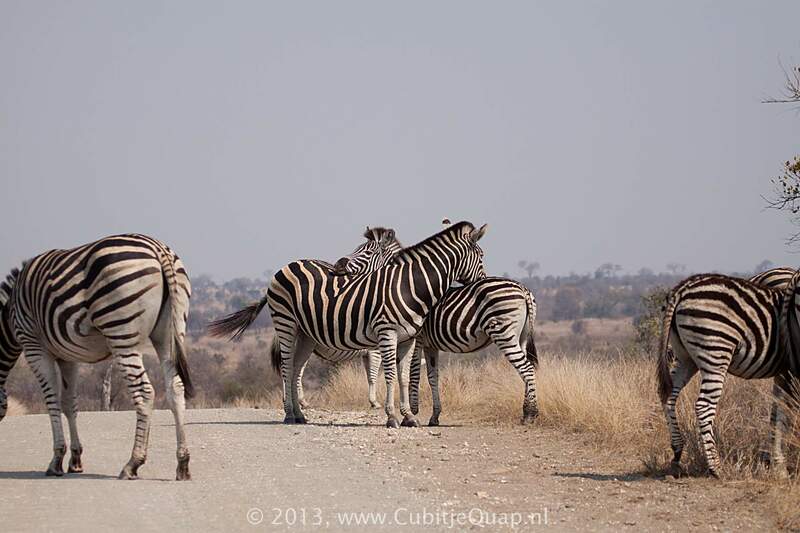 Plains zebras associate in family herds consisting of an adult stallion, mares and their foals. 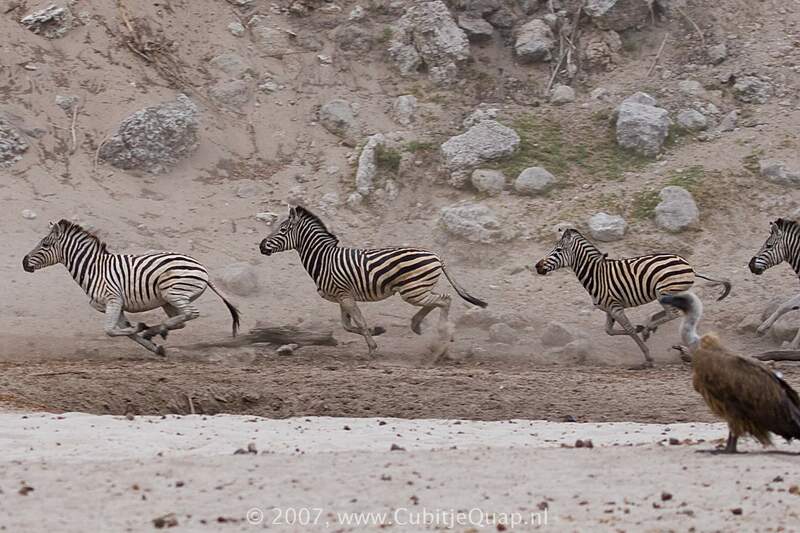 Other stallions form bachlor herds or run alone. 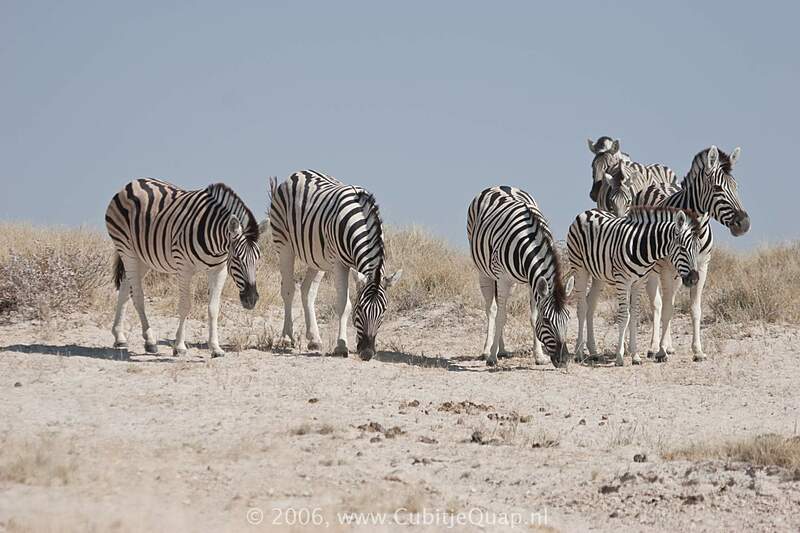 Family herds usually consist of 4 - 6 members. 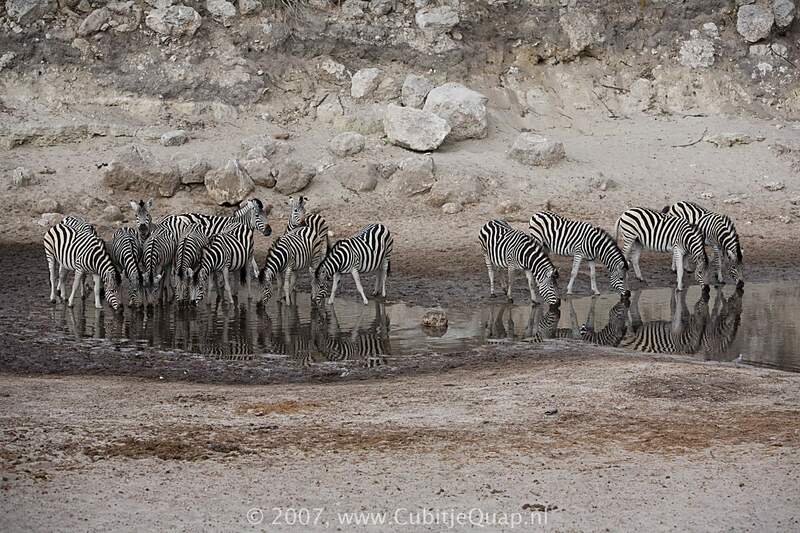 Much larger herds are formed when numerous smaller herds come together temporarily. 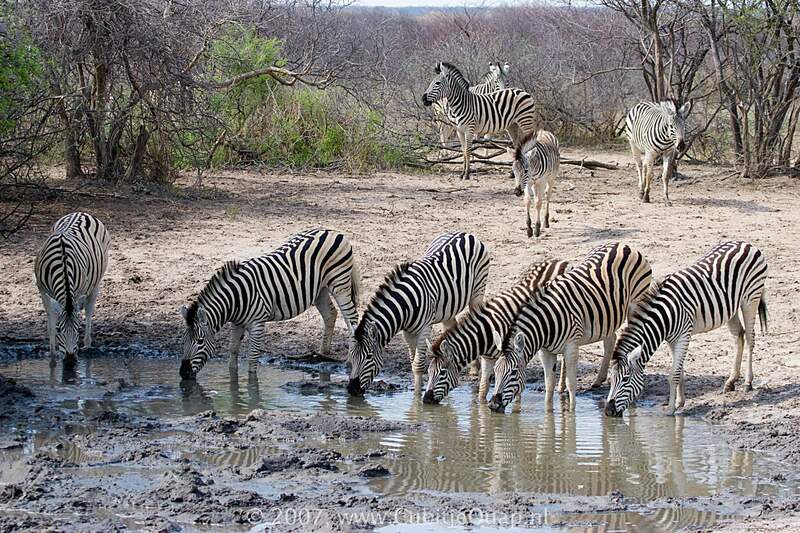 They all have a characteristic call that has been likened to a bark 'kwa-ha-ha' - which was also the call of the extinct Quagga, hence the name. 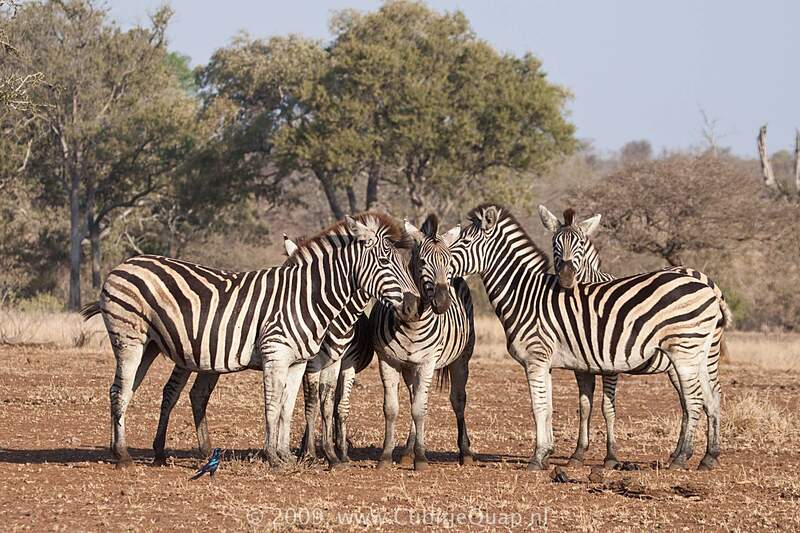 Plains zebras are grazers, but they occasionally browse. 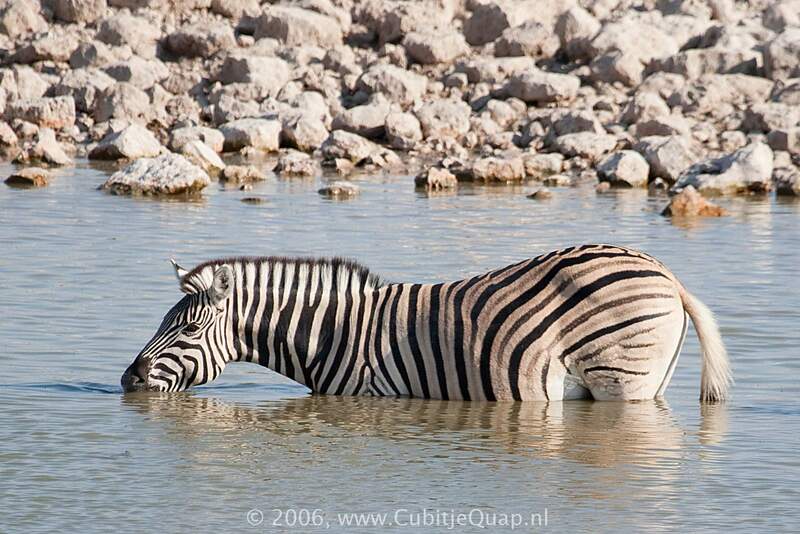 The plains zebra (Equus burchellii) is the same species as the supposedly extinct Equus quagga.